I have been using a trusty Blackberry as my main mobile phone for the past months, and I love how easily it can be customized. There are many different shells and cases available, and ebay offers an extremely wide selection as well. I decided to do something different with my Blackberry. I changed the original black housing to a white one, and spiced up the keypad. I love how it looks in the dark! The colors are not as obvious in the daylight, though still visible. Check out the array of hues! I've used 7 different colors on the keypad. 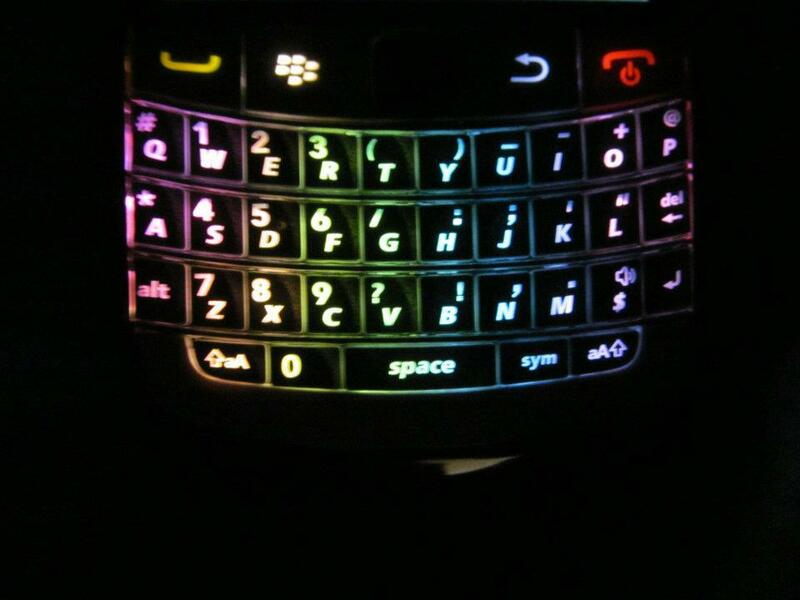 It totally matches the rainbow LED flasher when the BB rings (more on that another time). Just a little note, modifying the blackberry housing would void any warranty, but since the blackberry I'm using is a very old one, the warranty coverage is long over and hence I decided to change the cover and keypad. Also note that it requires special tools and practice to do it well, so bad handling may case damages to the phone. A disclaimer in case anyone tries to fiddle with the phone and damage it! Do take note! Hi! Thanks for dropping by. 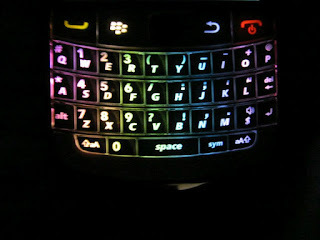 I bought my own blackberry tools and did the rainbow keypad myself. I'm not sure if there are shops which are able to do it either! May i know where u get those tools from? May i know where you get your own blackberry tool?